Software for small and medium craftsmen companies is almost exclusively proprietary individual software, often specialised on the different handcraft sectors. It is used to create documents that the craftsmen hand out to their customers such as offers or invoices. These documents play an important role in their customer communication. Often the inexperienced, non-IT expert users, who mostly have no interest in computers, can not decide what kind of software they really need for their day-to-day business. Either they accept high costs for often feature bloated but user unfriendly software specialised to their sector or they stay with rough-and-ready standard software solutions. Kraft tries to offer a free and suitable solution for that. KDE as a framework already comes with many very useful components so the question comes up if it is time for KDE to start to address completely non computer nerds like craftsmen. Is KDE an attractive platform for these kind of applications in a small business environment? Is there a chance for open source software in this market? Kraft is a new application that implements a tool to compose documents like offers and invoices that craftsmen hand out to their customers. Kraft comes with a structured catalog system for text templates and a basic calculation system for cost calculation for work steps. Document creation is done through a simple yet powerful dialog guiding users through all necessary steps. Kraft tries to be as generic as possible to work for different handcrafts and does not seek for feature completeness for one individual sector. The most important design criteria is to keep the application as simple as possible however as feature rich as needed. Klaas is a software engineer working at SUSE/Novell for about seven years. However the team he is working in does not do KDE-related work but cares for internal software infrastructure at SUSE R&D. 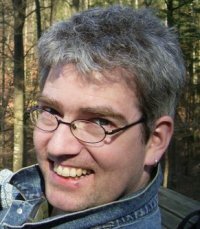 Klaas' first contributions to the KDE project were libkscan and Kooka, the KDE scanning and OCR suite. Klaas started to work on various solutions for handcrafters about 15 years ago due to family affairs.